Explore the fields of horticultural therapy (HT), therapeutic horticulture (TH), and nature-based therapy in an exciting inter-disciplinary program. HT courses will appeal to healthcare professionals, educators and interpreters, horticulturists, landscape designers and others wishing to learn more about connecting people and plants; or to those exploring career opportunities in horticultural therapy and therapeutic horticulture. Four courses, each of which can be taken independently, provide up to 160 hours of lively classroom instruction, field trips, and supervised study projects. For a short summary that provides content of the four HT Certificate courses and typical duration for each, please download the 2019 PDF file from the bottom of this page. Horticultural Therapy Techniques and The Practice of Horticultural Therapy are offered in Vancouver in the 2019 Spring Session. Deadline for registration is February 28, 2019. Please note, registration is closed. Spring Session 2019 courses are now full. AK. March 9, 2019. Information about 2020 course offerings will be available on this website in November, 2019. Where are Horticultural Therapy Certificate classes held? Horticulture and nature studies, design modules, and field trips are held at several different locations in Vancouver including the UBC Botanical Garden, VanDusen Botanical Garden, and local churches and community centres that provide access to adjacent parks and community gardens. We explore typical indoor and outdoor settings in which TH or HT programs might be offered and consider the potential for collaboration and partnerships for future program development. Field trips also include visits to local habitat or conservation areas to explore the importance of access to nature and the natural landscape for participants in TH and HT programs. What about TH and HT programs for specific populations? Content in each course focuses on evidence-based literature and examples of contemporary horticulture, gardening, and nature-based therapy programs that serve the needs of specific populations: locally, elsewhere in Canada, and around the world. Hands-on activities explore adaptations that can be made for various horticulture, gardening, nature, and botanical craft programs. For those considering work as a horticultural therapist in a clinical setting, the Horticultural Therapy Techniques and The Practice of Horticultural Therapy courses include units on how to generate specific objectives and measurable outcomes for individual clients and various methods for charting and documentation. These two courses are offered in the Spring 2019 session. What is included in each course fee? 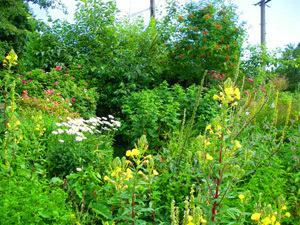 The course fee includes instruction; a comprehensive, evidence-based research and reference binder specific to each course; TH/HT program planning and assessment templates; all plant material and other supplies required for hands-on TH activities; and any entry fees for botanical gardens or other facilities. The teaching team is led by Ann Kent HTM, a registered horticultural therapist, who lives and works in Vancouver. Are statements of completion provided? Yes. A detailed statement of completion is provided to assist those who are completing continuing education requirements for professional associations in horticultural therapy and related disciplines. The documentation is also helpful to those who apply for funding support to develop TH and HT programs. An HT Certificate is provided following completion of requirements for all four courses. Courses in the Horticultural Therapy Professional Development Program adhere to the HT Core Skills & Knowledge - 2014 document published by the Canadian Horticultural Therapy Association (CHTA). Courses are eligible for up to 2.0 points toward professional registration with the CHTA. Please see the CHTA website or contact the CHTA administrator for current information about voluntary professional registration. Ann is a professional member of the CHTA and the AHTA. All HT courses instructed by Ann abide by the CHTA's education and professional registration guidelines. Where do students access funding to support their training in horticultural therapy? Class size is limited to 10. Early application is advised to ensure placement and provide plenty of time to explore the pre-reading list. For more detailed information about courses or for registration information, contact Ann at ann@catkingardens.ca. Where can I find more information about therapeutic horticulture and horticultural therapy? Start with the information and links provided on the Resources page. These will provide you with hours of exploration. Students are encouraged to follow and to contribute to the Horticultural Therapy Professional Development Program Facebook site, which tracks current research and articles of interest in TH and HT. This is a public Facebook site and anyone is welcome to follow it. Is there a professional association for HT in Canada, or a local network group? Nationally, the website of the Canadian Horticultural Therapy Association provides information about association membership, horticultural therapy education programs, and the CHTA's annual conference. Locally, networking is informal. In the Vancouver area, volunteers have arranged for affiliation with the BC Council of Gardens Clubs as a group called Gardens That Heal. You can follow news of this group or post items of interest about therapeutic gardens and horticulture to its Facebook site - Gardens That Heal. What about internships in horticultural therapy? Horticultural Therapy internships, in several locations in Canada, are available to students who satisfy the Canadian Horticultural Therapy Association (CHTA) guidelines for education and training in horticultural therapy (HT). An internship is 1000 hours and includes field work and written components. Membership in the CHTA is required. Sites where Ann supervises HT internships require interns to complete a British Columbia Criminal Record check. During fall and winter months a flu shot may be mandatory. In most locations, HT interns serve as volunteers. Placements for HT internships with Ann for 2019 are fully subscribed. If you are a CHTA member seeking further information about internships, please check the internship page on the CHTA website at www.chta.ca/internships.htm. How might I transition to a career in TH or HT? As the option for diploma or degree training in TH and HT does not exist in Canada at this time, most students add continuing education courses in TH and HT to earlier academic training and work experience in horticulture or human service areas to acquire a specific adjunct skill set. Students enrolling in the HT Certificate courses have backgrounds in such fields as horticulture, teaching, social work, occupational therapy, nursing, and recreational therapy. Most students are planning to develop new programs in TH or HT in settings where they are already employed. Some, who already have small businesses and/ or good entrepreneurial skill sets, plan to develop and offer TH and HT programs as independent contractors. Various options for employment, and the benefits and challenges of each, are explored in The Practice of Horticultural Therapy course.